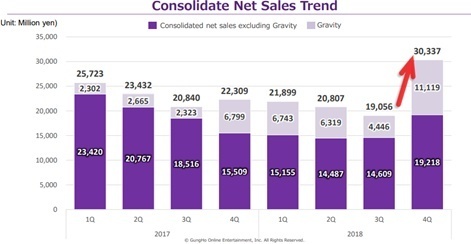 GungHo Online Entertainment has been managing a long but very lucrative decline for its multi-billion dollar hit Puzzle & Dragons, but it looks like the game is back on the up again. 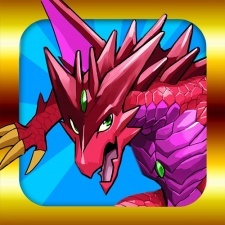 In its financials for 2018 and Q4, the publisher claimed the number of monthly active users increased significantly at the year-end Puzzle & Dragons event, pushing up sales substantially from the previous quarter. The recent quarter tells a better story however. Net sales hit ¥30.3 billion ($274.2m) for the three months ending December 31st 2018, up from ¥19 billion ($172m) in Q3 2018 and ¥22.3 billion ($202m) in Q4 2017. Operating income meanwhile hit ¥9.3 billion ($84m), up from ¥5 billion ($45.2m) in Q3 and ¥6.2 billion ($56m) in Q4 2017. GungHo put down much of the success here to a lack of large advertising expenditure. Ragnarok M: Eternal Love, developed and distributed by GungHo subsidiary Gravity, is also said to have performed well during the last quarter. It passed five million downloads in Southeast Asia within a month after launch and was claimed to have hit the number one sales spots on the App Store and google Play in a number of countries in the region. It was also said to have made a good start in North and South America, as well as Oceana. Catch up with more mobile games industry financials on our calendar here.